The first ever India Baja 2016 was organised this year between February 13-14, 2016. 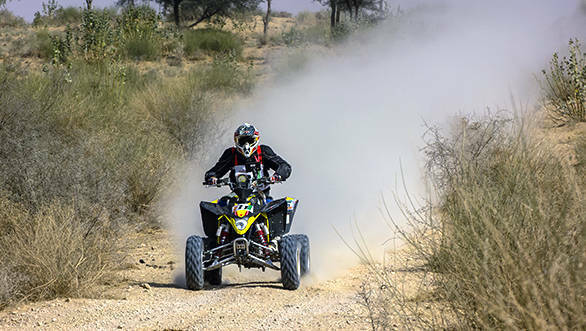 Based on the same concept as the Baja 1000 held in North America, the India Baja 2016 ran more than 500km of which, over 300km were competitive stages. In the Group A motorcycle class, CS Santosh took first place and Nitish Sharma and Jes David won the Group B and Group C categories respectively. Team Maruti's Suresh Rana and Ashwin Naik won the T1 Xtreme category, while Niju Padia (co-driver Neerav Mehta) and Raj Singh Rathore (co-driver Rihen Bhardwaj) took the titles in the T2 and T3 categories respectively. 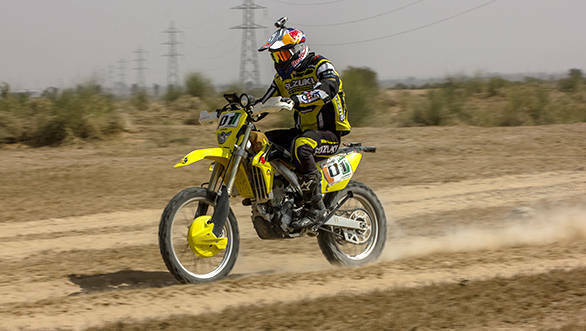 The Quad category had just one entrant, Joshua Pramod, who won the title by virtue of finishing the rally. The India Baja 2016, which is organised by Northern Motorsport, had a total of 29 bikes and 32 cars participating. The route led contenders from Bikaner towards places like Noorsar, Nal, Karnisar and Kela. By the end of the rally, only seven bikes and 10 cars managed to make it to the finish line after the six stages. The organisers of India Baja 2016 are hoping to draw in international competitors for the next season. They are also in talks with the organisers of the Dakar Rally to ensure that the India Baja 2016 is major event in the global motorsport calendar.